It's amazing what a new crystal will do for the look of a watch restoration. Most of the watches that come to me need their crystals replaced. 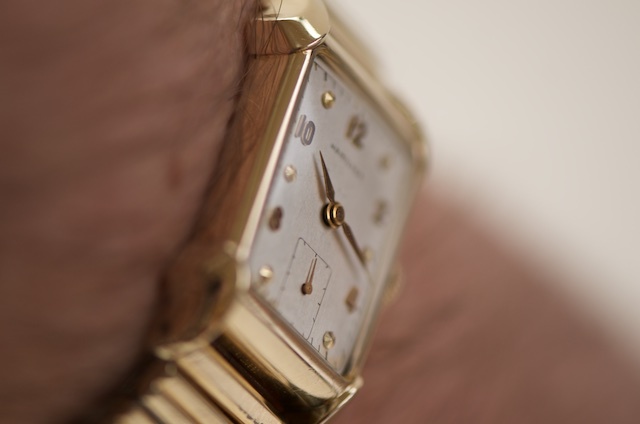 You inadvertently rub your watch up against something and it gets scratched or it gets dropped and chipped, a new crystal replacement goes a long way for the look of a watch. Crystals come in plastic (acrylic) and glass. I prefer glass as they are a bit more robust and don't scratch as easy as plastic. Some round watches however require plastic crystals so that they can be compressed into the watch and its the compression that holds the crystal in place. 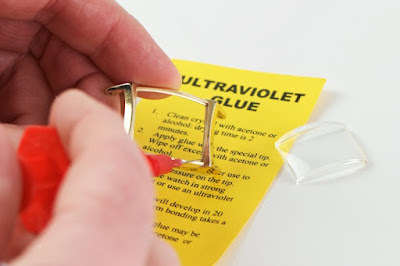 Glass gets glued into the watch with ultraviolet glue. I spent the last couple of days replacing the crystals on a number of my watches and the results are incredible. 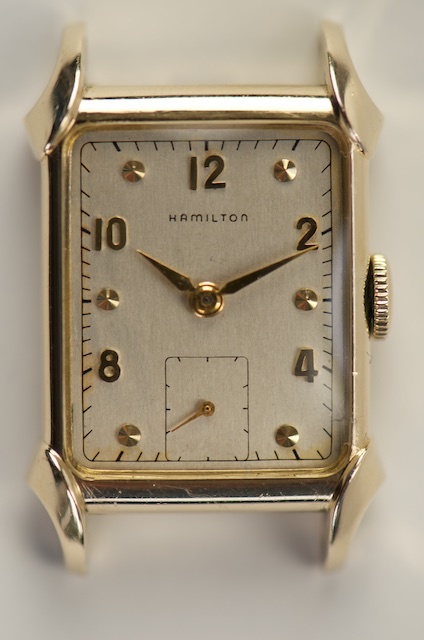 Take for instance the 1949 Hamilton "Milton" below. You don't even know there is a piece of glass there protecting the hands and dial. 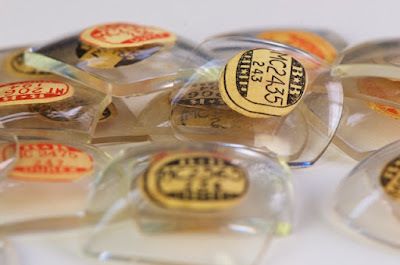 I use what are known as new old stock ("NOS") watch parts, including crystals. These are parts and crystals that were made during the era the watch was made. Watch purists like to see NOS parts used in restorations; I'm no exception. You can still find NOS parts and crystals today. 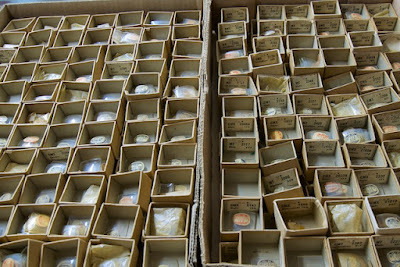 I received from my watchmaker friend hundreds of parts and I've purchased several hundred NOS crystals off the net. 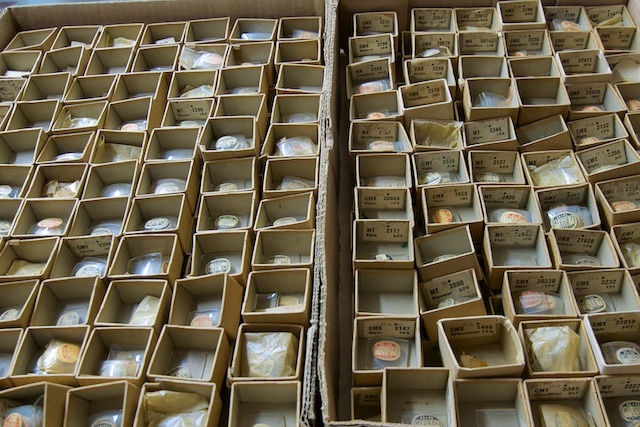 I probably have 700+ crystals in my stock, but alas, I more often have to purchase a replacement crystal from the internet than find one that fits the watch I'm working on from my own stock. 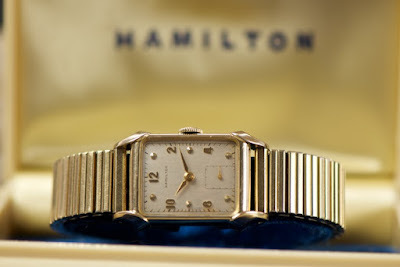 Perhaps I should be buying watches to fit my crystal stock, not the other way around. 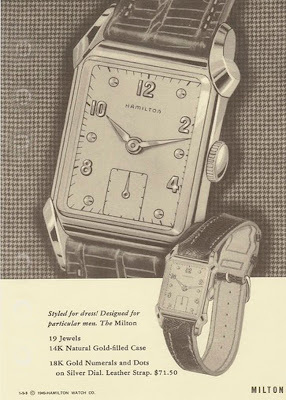 Sure would be an interesting way to collect watches. The picture below is a little box that houses a specific crystal; the box and label keep my stock organized. The letters "CMC" repesents the type of crystal shape (Curved square, Military - a curved lower edge, Cylindrical), and the numbers 2195 and 218 represents the dimensions of the crystal in millimeters (21.95 mm x 21.8 mm). 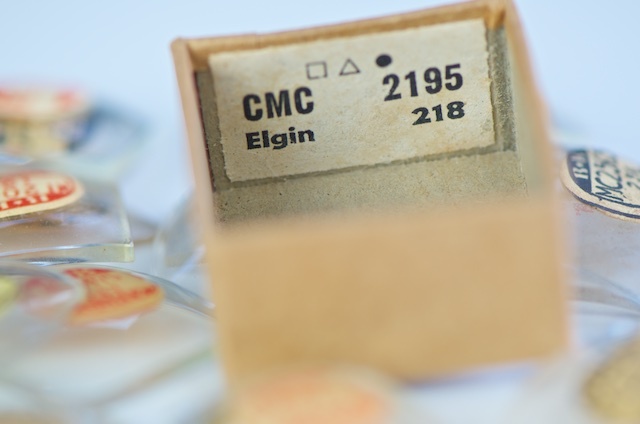 It's crystal clear that a new crystal makes the world of difference in a watch restoration.